In moderate climates the most cost–effective alternatives for central air are Heat Pumps. It manages your temperature to the desired level by transferring hot air in and out of your house. Thus, if you face any problems with functionality when summer ends, it can quickly become very uncomfortable inside. These simple troubleshooting techniques will help you get your heat pump back in proper working order. If in cool days your heat pump operated fine but it doesn’t work properly now in warmer days, check whether the thermostat is turned to cooling and set on automatic. These switches are basically located on the side or bottom of the unit. In case if the problem is not solved by doing so, try turning the machine to “fan only” to make sure that your fan runs in properly. Be convinced to keep the thermostat at a temperature setting that is comfortable for you. If the setting isn’t low enough, the heat pump won’t kick on. For the proper and correct work of your heat pump, you must pay attention to the cleanliness of your filters. In heavy use seasons every month you should change them. If the filters are clogged or there is debris around your compressor, that can explain the cooling problem. In order to wash away caked on dust and debris use a low-pressure hose, and then try having your heat pump run to see if the issue is resolved. One must very often change the batteries of electronic thermostats. Insert a new set to find out whether it improves the functionality of your heat pump. Very often malfunctions may occur because of heavy ice buildup on your unit. Sometimes the energy efficiency settings will prevent the defroster from working long enough or often enough to keep your unit clear. In order to handle this mistake, try running the “fan only” setting for an hour or so to melt the ice. If this problem occurs again and again, move the outdoor sensor to a more ideal location, closer to the coil’s outtake. So as to be convinced that the heat pump is receiving power check your fuse or breaker box. 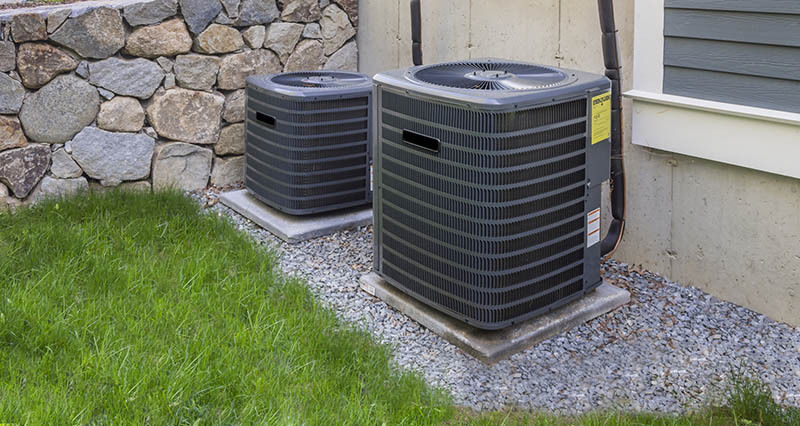 If the heat pump starts and stops, or continuously flips the breaker, you may have either a problem with the compressor or a problem with your home’s electrical wiring. In this case, you should electrician come out and take a look at the problem. The functionality of your heat pump can be restricted in case of low refrigerant levels, the latter even cause it to fail. In order to add a refrigerant a special license is needed, because handling the materials is extremely dangerous for those who do not have specific experience and training. The EPA has specific guidelines for the disposal of refrigerant, which is harmful to both humans and wildlife. If you want a refrigerant you should call in a professional.